The 30 degree zoomed 12mm lens RV backup camera is perfect for viewing behind your vehicle at longer ranges than standard cameras. A quality RV rear view camera can drastically broaden your perspective and make your ride a whole lot safer. But you shouldn't just settle for any camera. This 30° 12mm lense RV High Resolution Backup Camera has everything you need to drive down the road and gain a crystal clear vantage point. The lens also has a zoom effect. So its great if you want a tight focal spot to look at and see cars very long distance away. For parking, the large degree angle cameras are better, but to see far far away while driving down the road this is the way to go. To put it simply, backup cameras don't get any better than this, and TadiBrothers is pleased to offer this versatile unit at an incredible value. 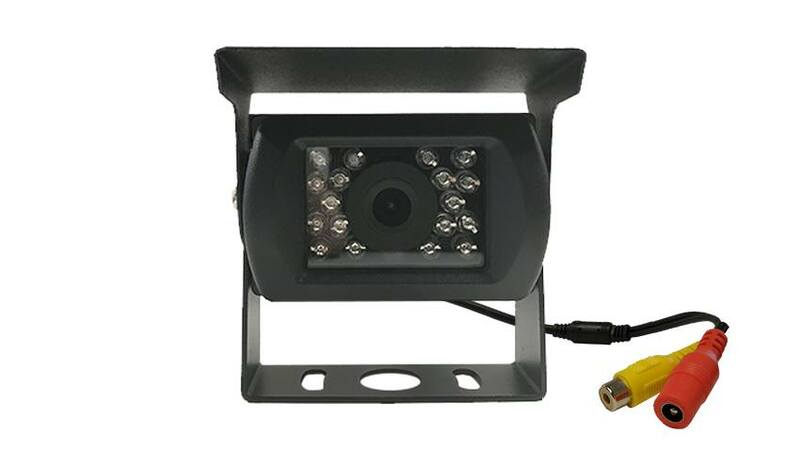 This RV rear view camera is designed with a high-resolution CCD lens, ensuring that your picture quality is never obstructed. Additionally, the 30° viewable angle enables you to easily adjust your visual aspect as needed. Best of all, this camera is designed to withstand all the rigors of the open road, from rain to dust to hail and even rocks. It's built with waterproof casing and a metal sun shield visor, so you need not worry that your camera might lose its integrity on that great American road trip. This bird's eye view backup camera is built for the long haul, and it even has night vision capabilities, further ensuring that you never miss a thing. At TadiBrothers, we're passionate about quality, because we want you to have the best. Are you ready to gain virtually unlimited perspective from the comfort of your driver's seat? We offer a 30-day money-back guarantee, so you have nothing to lose. Order your 120° RV Backup Camera, and see the countryside in high resolution.